we thought we would update things with some of the newer launchers. Without further adieu, here are a few different launchers that provide the best experience for everyday use, in our opinion. The Google Now Launcher comes standard with Google Experience KitKat devices, but recently Google made it available in the Play Store. The big draw with Google’s launcher is that Google Now is always accessible by swiping to the left-most screen. Besides easy Google Now access, it’s just like your typical default launcher – no frills or special effects, no custom icon or theme support, just widgets, apps, and shortcuts. A simple, down-to-the-bone experience. With Google Now continuing to improve and becoming more and more part of Android, and even Google’s framework, this launcher offers the extremely useful service with just an easy swipe.While technically this launcher is just for Google Play Edition and Nexus devices, you can get around that by following the steps we’ve outlined. 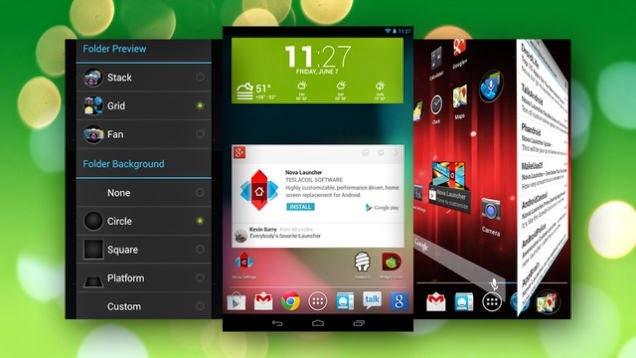 Nova Launcher is the oldest of the launchers on this list, as well as the most customizable. With this third-party launcher, you can make your device look like a stock device, or you can change it up and make it look like something unique. You can customize virtually everything – from icons, to animations, to grid size, to speed, and much more. In addition to the customization options, it’s fast, light-weight, polished, and frequently updated. 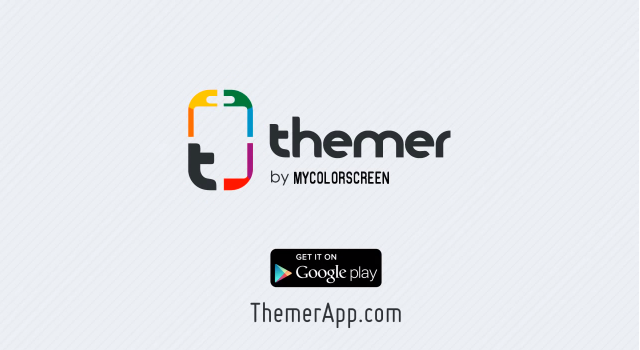 Themes are a big part of the launcher, and as a result, there are hundreds of different downloadable themes, both in the Play Store and other sources online. Not only do icons change on the home screen, but they also change in the app drawer, making for a very streamlined and clean look. There’s a premium “Prime” version if you want more features, but the free version should do just fine for most. The Prime version does have some nice features however, like the ability to hide apps from the drawer and display unread counts by apps icons. Aviate is a very interesting option, and the first dynamic launcher on this list. Aviate is a “smart” home screen tool that automatically adjusts as you go through your day. The layout on the home screen is extremely simplified, with areas for automatically categorized apps. Those grouped apps change as your day goes on, based on your location and the time. For example, if you’re at the gym, your device will display shortcuts to fitness apps, if you’re at the airport, you will see travel related apps,and if you’re at the office, you will get productivity apps, etc. Aviate really makes you use your phone to its fullest potential. If it realizes that you don’t have a popular useful app that relates to something you do or somewhere you go, it’ll suggest you download that app. Aviate was bought recently in a publicized deal by Yahoo, so we’re probably going to see the launcher evolve quite a bit in the near future. It has already been updated to allow custom icon packs, a much requested feature. There’s good and bad news about its availability. The good news is that it is absolutely 100% free, but the bad news is that the launcher is currently invite-only, which you can request after downloading the app. 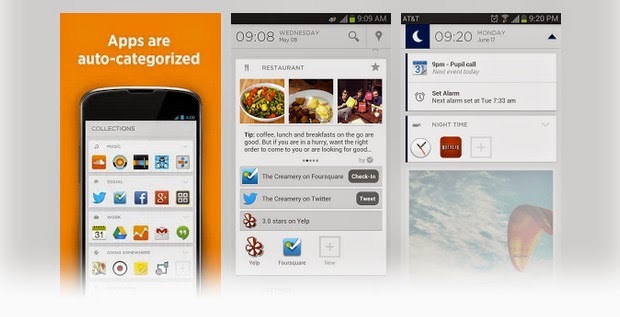 EverythingMe is another dynamic launcher, like Aviate, but that’s not to say they are the same. EverythingMe began as a customizable launcher in which you could speak to your device, and get suggestions on apps based on what’s your mind. The launcher still has those options, but it has evolved into a lot more. Like Aviate, EverythingMe adapts based on the time of day and your location, but not just with apps. For example, in the morning, the app will provide the weather for you, along with news headlines, or any other apps you check in the morning. When you get to work, your appointments will appear, along with productivity apps. EverythingMe is a great option for those who want an automated experience as well as want to try to explore new apps. It’s free in the Play Store. If you like the idea of having your home screen look uniquely awesome, but don’t want to spend time customizing it yourself, Themer was created just for you. For over a year now, expert home screen designers have been creating themes for Themer that anyone can use, regardless of their customization savviness. 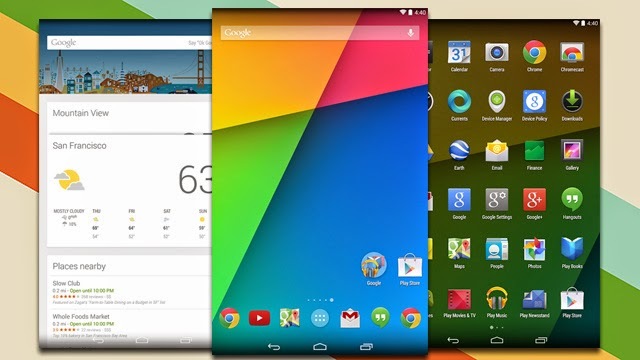 The designed home screens are complete with icons, wallpapers, widgets, and more useful tools. Some of the themes are true pieces of art that you can incorporate on your own device. While you can choose a preset theme, that doesn’t mean you can’t customize the theme . You have tons of options to do what you want with the theme and make it your own. Themer isn’t a dynamic launcher like the previous two options, which is something you might have to consider giving up for looks. It’s free in the Play Store. We want to know what you think. What’s your launcher of choice? Is it one we outlined above, or is it one that we missed? Sound off in the comments and let us know your thoughts.